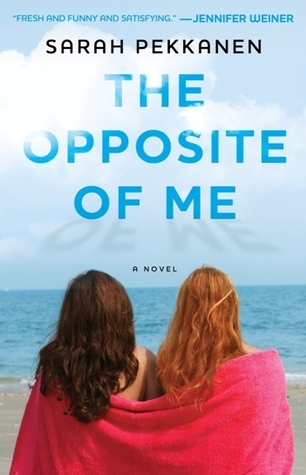 Goodreads: Twenty-nine-year-old Lindsey Rose has, for as long as she can remember, lived in the shadow of her ravishingly beautiful fraternal twin sister, Alex. Determined to get noticed, Lindsey is finally on the cusp of being named VP creative director of an elite New York advertising agency, after years of eighty-plus-hour weeks, migraines, and profound loneliness. But during the course of one devastating night, Lindsey’s carefully constructed life implodes. Humiliated, she flees the glitter of Manhattan and retreats to the time warp of her parents’ Maryland home. As her sister plans her lavish wedding to her Prince Charming, Lindsey struggles to maintain her identity as the smart, responsible twin while she furtively tries to piece her career back together. But things get more complicated when a long-held family secret is unleashed that forces both sisters to reconsider who they are and who they are meant to be. Kritters Thoughts: A book that begins as a story that centers around fraternal twins who have always had a place in their family set in stone, but through some ups and downs these twins are having to find out how to both change and still find their place. I think this kind of sibling rivalry happens in all kinds of siblings from fraternal twins to identical twins to siblings of different ages. My sister and I serve different roles in our family - she is the creative and big picture one and I am the organized detail oriented person. I can't imagine if our roles were reversed for one reason or another and how we would all have to shift and change to make a new normal. My favorite part of this book was thinking that it was headed in a certain direction and at a drop of a hat, the author takes it to a whole nother level. As always, I can not divulge what takes the book to the next level because this is one that must be picked up on your next trip to a bookstore (preferably an indie bookstore! ).